Among the speakers of the opening keynote of Mobile World Congress Americas (MWCA), MWCA director general, Mats Granryd, and Sprint’s Marcelo Claure agree that AI is the next technological revolution when paired with 5G connectivity. According to Claure, AI has the potential to surpass human intelligence by 100-times in the next 30 years. 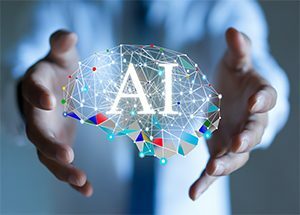 AI technology offers opportunities across various industries. “Intelligent connectivity” that pairs 5G with AI allows for truly connected homes, cities and individuals. For additional insight from MWCA 2018, click here.